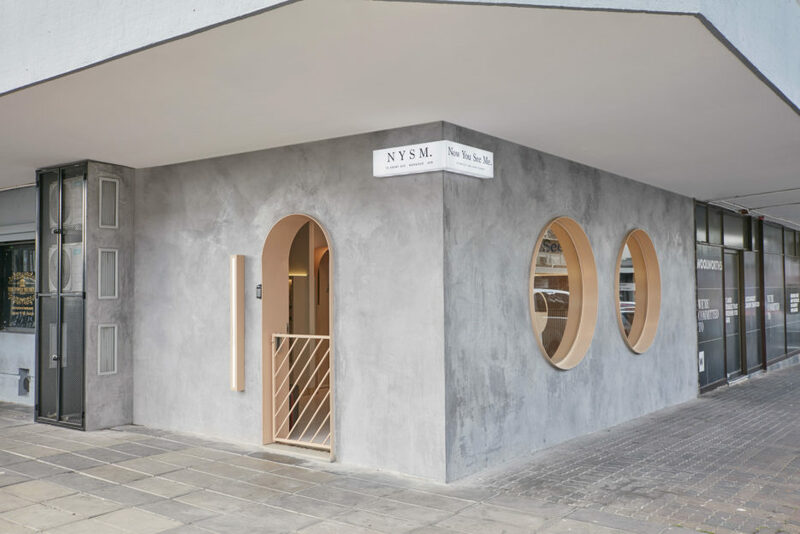 Norwood isn’t where you’d expect to find South Africa’s newest high end optometrist and luxury eyewear store, but you really can’t miss this shop. An actual spectacle, the shopfront sports two giant round windows like eyes staring at you, or perhaps inviting you to look in, as you drive or walk past. And what you’ll see inside is unlike any other shop around in this quirky Johannesburg neighbourhood, and wouldn’t be out of place in the trendiest fashion districts of Tokyo. Not a lot remains of the original optometrist shop that existed there for over 35 years, other than a legacy of love for eyewear and eye care that spans four decades. Heading up a team of knowledgeable and experienced buyers, curators and lens specialists is Neels and Ilse Prinsloo. With 22 years experience, four previous Johannesburg practices a passion for the clinical and latest technology and instruments for optometry – Neels comes with a long list of loyal, happy customers. 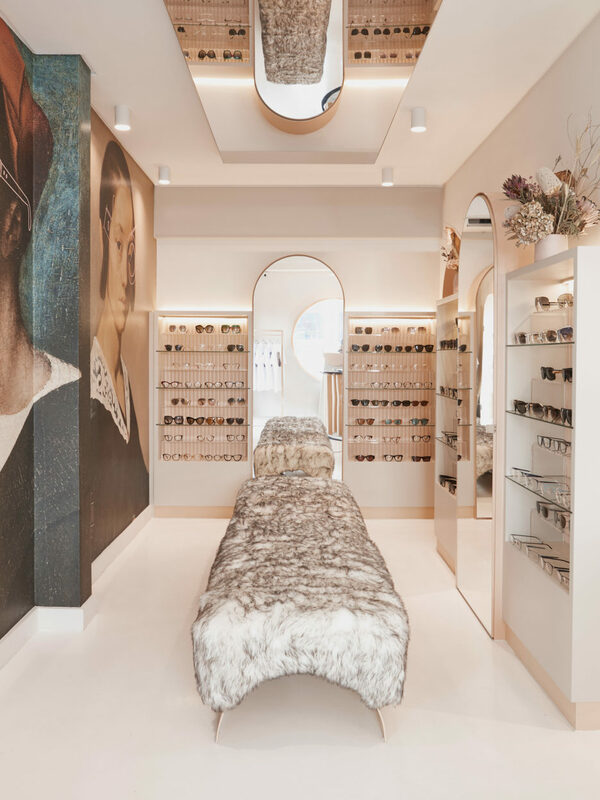 The shop was born from an opportunity to take over a previous optometrist but quickly grew from a retail space idea to a brand that treats eyewear like art. When it came to developing the brand, they called on the dynamic creative duo, Jana + Koos who helped with everything from the name generation through to brand development, concept design for the space and ongoing creative direction. A great fit as Jana + Koos are known for their a-typical approach and this store was never going to be conventional in any way, shape or form. To complete the team, Tristan du Plessis from Studio A, one of South Africa’s most awarded interior designer’s, helped take the shop from a concept to a retail sculpture with the company’s appetite and mastery over materials. Utilizing a global network of suppliers like Lee Broom and Seletti whilst also engaging local artisans to craft bespoke surfaces furniture and lighting, the shop is a tapestry of considered pieces and bespoke elements .The finished product is the obvious result of a team that worked closely, took some brave chances and had fun along the way. 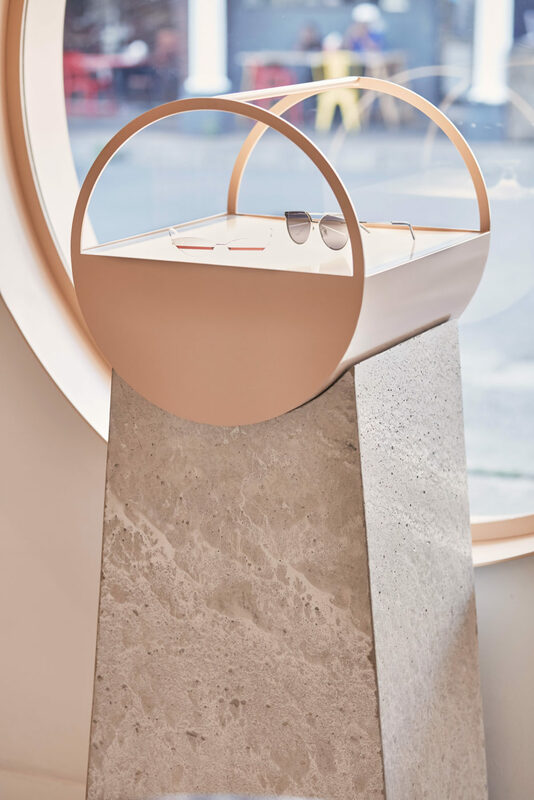 Hence you’ll find some clever features like a full mirrored ceiling – because what’s more important in an eyewear store than seeing what you look like, from every angle possible. Cheekily, the shop also features some classic paintings by the old masters donning some of the world’s finest and latest opticals. 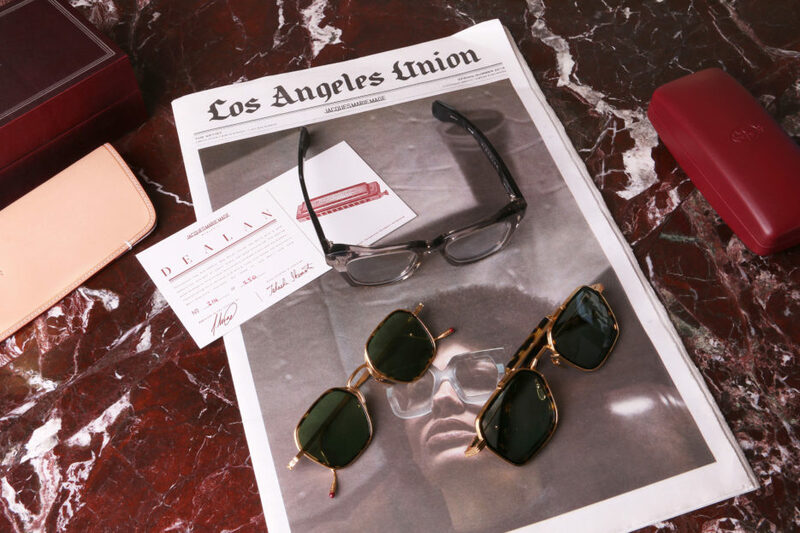 With a nod of approval they understand that classic eyewear is so much more than a piece of medical equipment or trendy fashion item. A really great pair defines who you are, becomes part of identity and helps you present yourself to the world. And really good design lasts beyond trends, and becomes collectors pieces. 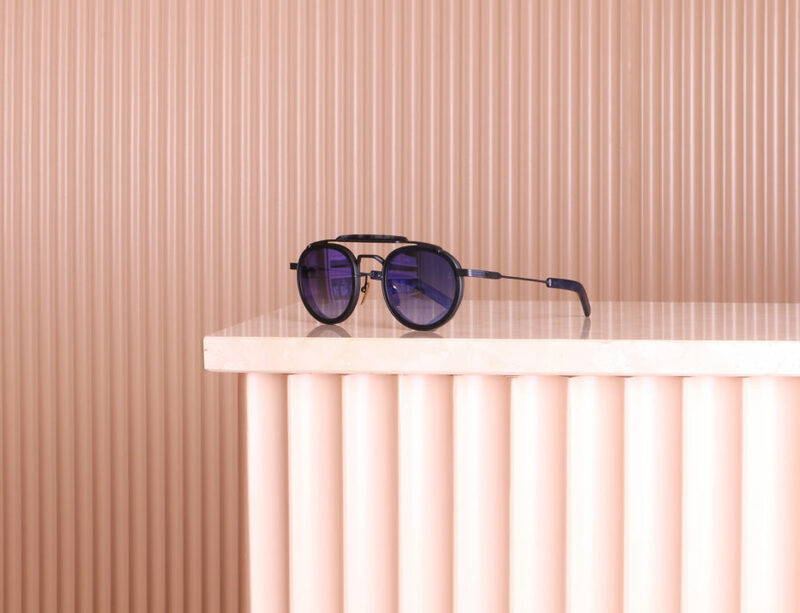 Some of the brands you can expect and find in store: Gentle Monster, Jacques Marie Mage, Mykita, Dior, Karen Walker, Lindberg, RETROSUPERFUTURE, Oliver Peoples, Anne et Valentin, 8000 Eyewear, Celine, Gucci, Fendi, Tom Ford, Dita, Moscot, Garret Leight. 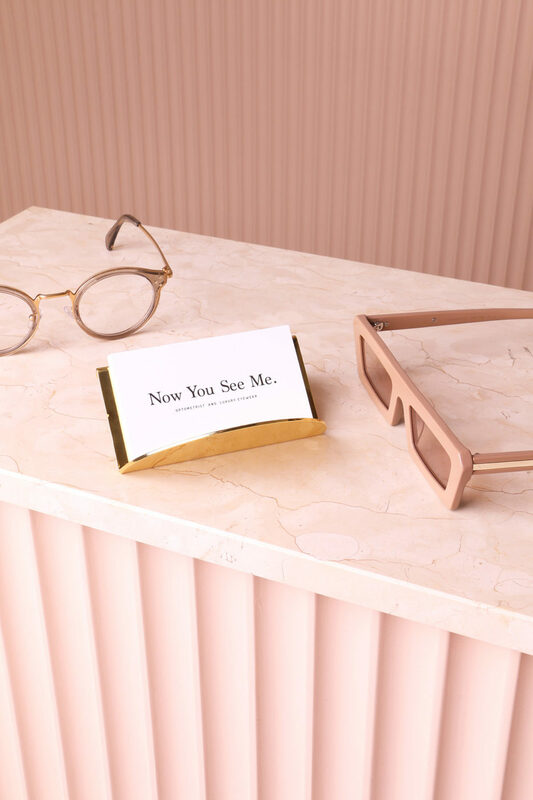 A must visit if you are the kind of person that makes your travel plans around where you can find certain brands, or if you just like amazing independent eyewear, read fashion books like bibles and appreciate the fine, finer and finest details… Now You See Me might just be your favourite new go-to. And on a plus side, wander around a bit for some great neighbourhood food, coffee and antiques. Now You See Me, Norwood Johannesburg.